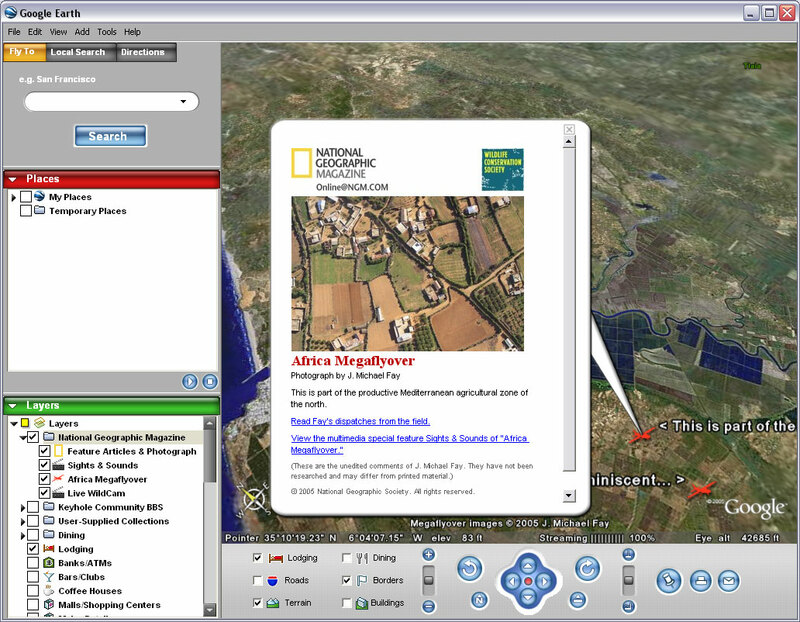 National Geographic has been one of the most prolific ESRI users out there, but they have begun to utilize Google Earth. 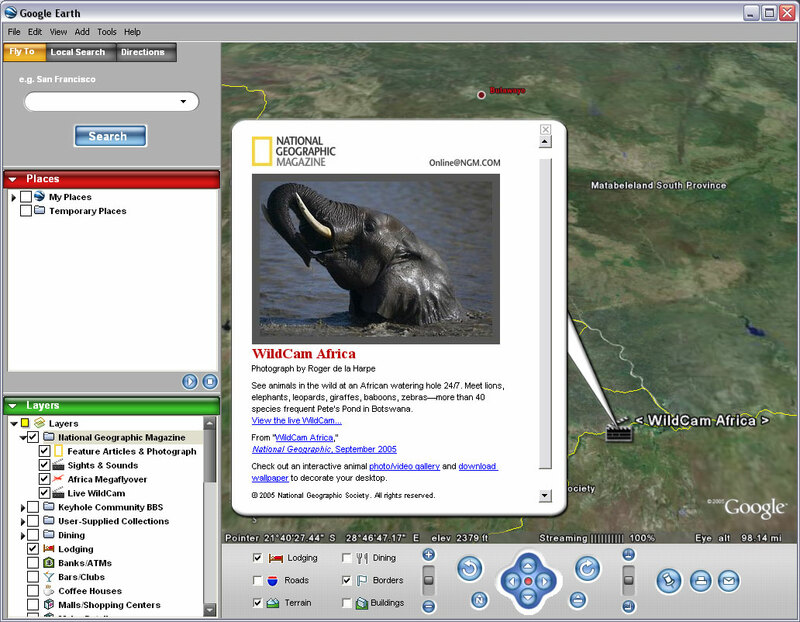 Now appearing in the Google Earth layers are Features Articles and & Photograph, Sights & Sounds, African Megaflyover and Live Wildcam. The Map Machine has been using ESRI server software for years, but could we be seeing a change where companies are rushing to make sure their information is available inside Google Earth. Check out a couple screen shots below. Google Earth is becoming a GIS “browser” where you can find information from all over the world, perfect for the NGS.